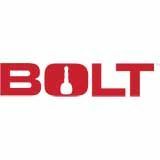 BOLT locks come in a variety of styles to lock trailers, boats, caravans, motorbikes, ATV, roof racks, spare tires, push bikes, equipment, and more – all with your car key! BOLT Lock Range includes the Padlock, Hitch Pin Receiver Lock, Security Cable Lock, Tool Box Latch with Lock, Cylinder Lock, Coupling Pin, Jeep Spare Tire Lock, Jeep Wrangler Hi Lift Jack Mount and Hood Lock. BOLT Lock Jeep Hood Lock or Hood Latch can be used to secure under bonnet accessories with Jeep 4x4 accessories and is compatible Jeep Wrangler.